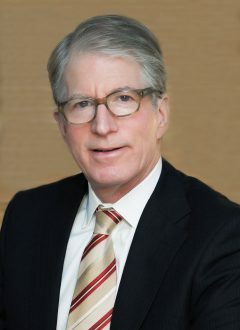 Robert Fligel, a prominent New York City and former Big 4 Certified Public Accountant and CPA firm advisor, has opened a rare coins and precious metals consulting company, RF Precious Metals, LLC, to assist collectors, investors, financial planners and asset and estate managers with buying and selling of rare coins and bullion coins. 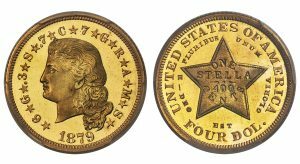 A superb example of an extremely rare 140-year-old U.S. coin that sat, untouched and perhaps unknown, in a family safe is among lots in highest demand being offered at Heritage Auctions’ U.S. Coins Auction March 14-16. 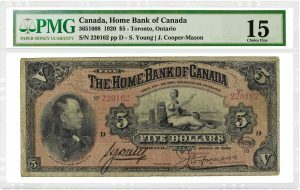 Paper Money Guaranty® (PMG) has certified the second-known example of the 1920-dated Home Bank of Canada $5. 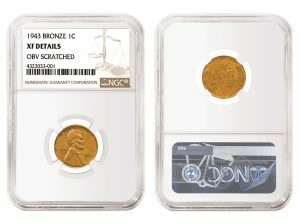 Numismatic Guaranty Corporation® (NGC) has certified a 1943 Copper Cent that was found in a gumball machine decades ago. The 1943 Copper Cent is generally regarded as the most famous of all mint errors. 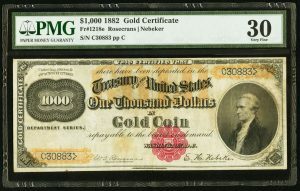 A massive surge in demand for high-grade notes from around the world spurred annual sales for 2018 for Heritage Auctions’ Rare Currency department to $44,075,071. Paper Money Guaranty® (PMG) has introduced a CrossOver service for notes that are still encapsulated in PCGS Currency holders. Well-known paper money authentication expert Jason W. Bradford and his team of experts launched Legacy Currency Grading (www.LegacyGrading.com), a new paper money grading and authentication service, on February 20, 2019. 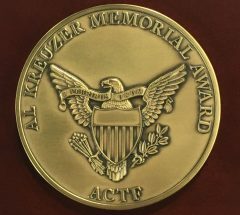 Do you know someone who has actively helped in the fight against counterfeit coins, bank notes and/or fake third-party encapsulation holders the past year? 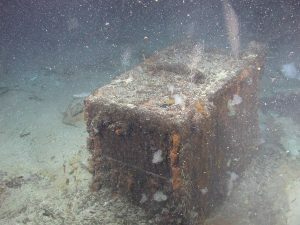 Historic silver and gold coins discovered in the purser’s lock box in 2014 from the fabled "Ship of Gold," the S.S. Central America that sank in 1857, are coming to market for collectors, according to the California Gold Marketing Group LLC (CGMG) of Brea, California. 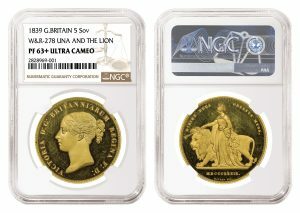 Numismatic Guaranty Corporation® (NGC) has certified a rare complete 1839 Great Britain Proof Set. The incredible set includes 15 gold, silver and copper coins, representing each denomination and type issued in 1839.